Whether it be a live concert, CD Release, corporate presentation or a media publicity announcement, Blue Frog Studios can deliver your event to the world. 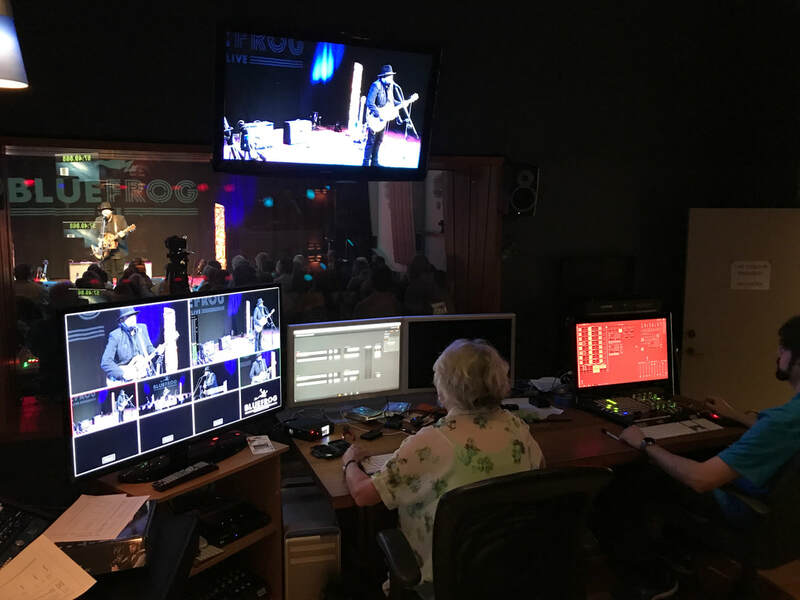 With our 4K webcasting soundstage, we are capable of live streaming real-time productions with multiple camera angles and live switching. The programmable video lighting is perfect and the pristine audio production quality is among the best available in the world. We offer concurrent Multiple Streaming Destinations eg. Facebook Live, YouTube Live, Twitter, etc. Live Streaming can be setup for Pay-Per-View or Free View. Live Streaming gives new opportunities to connect, engage and reach new markets. We are continually amazed at where live viewers are checking in from, including Europe, Australia, Africa, and all over Canada and the U.S.